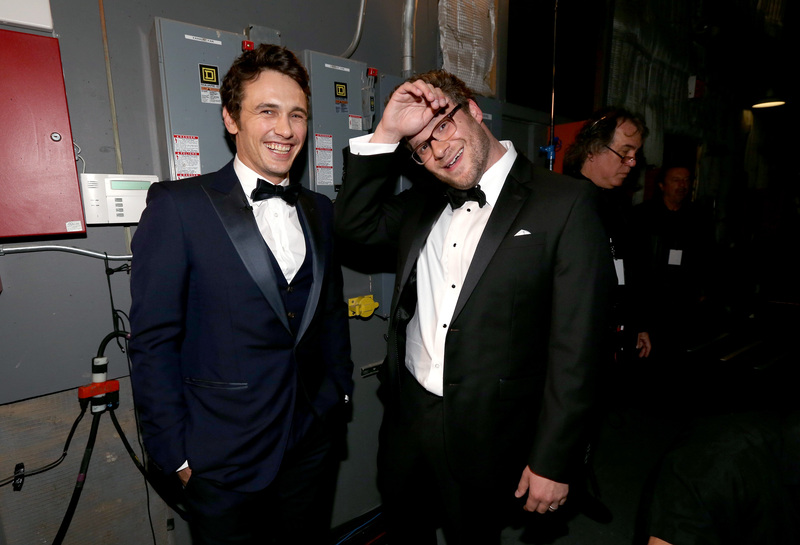 James Franco Painted Nudes Of Seth Rogen & Instagrammed Them: Are We Surprised? James Franco is an instagram lunatic, it's just a fact. He volleys between using the app to hit on 17-year-olds and posting endless selfies, many of which are shirtless and/or half-lidded. He even uses it as a vaulting point from which to write essays for the New York Times. It is his most prized medium, it seems. As such, it should come as no surprise when he does stuff like post Franco-painted Seth Rogen nudes to that instagram account. Because what else were you expecting when you clicked 'follow'? Likely not Rogen sprawled out naked, with painted-in captions like "sleepy bear" and "Seth wants it!" But hey, if you sat through the teenage girl scandal and the highly suspicious/porny Batman pics, it's unlikely this will be the final straw in your following of James Franco. Still, the paintings are a...sight to behold. They stand, if you're being generous, as a testament to Franco's long-running friendship with Rogen — a friendship that's spanned the fifteen years since Freaks and Geeks, and which one can assume has at some point involved the men seeing each other naked. The paintings are also a little bit of TMI. Or, as Franco likely calls it, "a Tuesday." Have fun erasing these images from your brain.